Dr. Robinson passed on February 4, 2018, survived by his wife Ann Robinson, and two sons George S. Robinson, IV and Whitson Robinson (both members of the firm). Prior to co-founding the firm Dr. Robinson enjoyed a rich career in law, and was one of the preeminent international experts on aeronautical and space law, and was the first person to ever receive a Doctor of Civil Laws degree in Space Law from McGill University Institute of Air and Space Law. For 25 years Dr. Robinson served as legal counsel at the Smithsonian Institution in Washington, D.C., where he enjoyed an exceptionally broad law practice relating primarily to domestic and international science research activities. During his tenure at the Smithsonian, Dr. Robinson also served as its Congressional Liaison. Prior to his career at the Smithsonian, Dr. Robinson served as an International Relations Specialist for the National Aeronautics and Space Administration (NASA). Additionally, Dr. Robinson served as legal counsel for the Federal Aviation Administration (FAA) under the U.S. Department of Transportation. 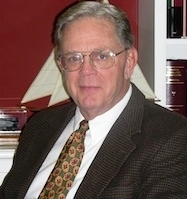 During his career Dr. Robinson published numerous books and articles on topics grappling with the law and philosophy of humankind’s journey into space. Moreover, he has taught and lectured on space and business law at numerous universities in the United States and abroad, including, among others, George Mason University, Oxford University, McGill University, George Washington University, and Georgetown University. He also served on the board of directors for various science research facilities, foundations, and hospitals. Dr. Robinson’s legacy continues through the firm’s work, his published writings, and also through the George S. and Ann K. Robinson Space Law Prize at McGill University.